Whether you’re commuting to work, going for a weekend trip with the family, or competing in a big race, cycling is popular among many. If you’re looking for a tune up, high-quality gear, or maybe a new set of wheels entirely, these 10 bike shops in Maryland can start you on your next adventure. Germantown is locally owned and the staff gets to know their customers, making for a fun and family-friendly experience when you shop. When you purchase a new bike here, they will help you to select the right one and offer free tune-ups for life which can save you a lot of money down the road. If you have your eye on a new racing bike but don’t have the cash, they offer zero percent financing to make it affordable for you. With bicycle accessories for sale as well, you can always find what you need here. Designed for off-road adventure, you can purchase a new bike here and hit the many trails around Maryland. They also sell road bikes that are ideal for cruising around the historic Annapolis streets. It’s a journey no matter what when you have two wheels under you and Annapolis Velo can help you to find the right bike for the job. 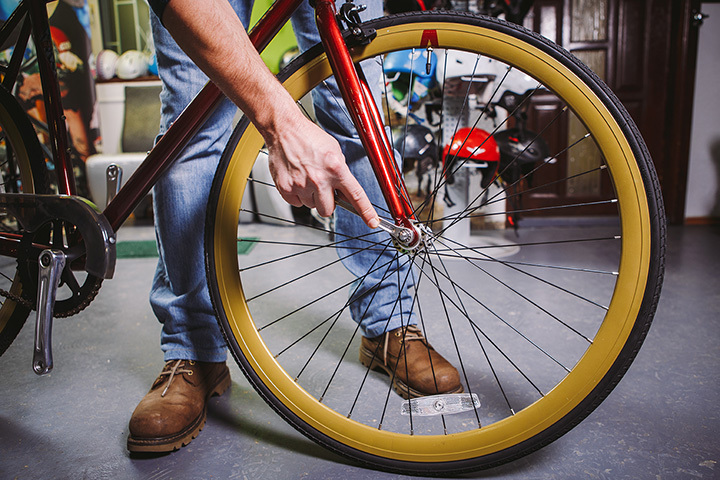 They can help you to find the right bike and maintain it for you. With certified bike mechanics, the Bike Shop of Bel Air can easily complete repairs and upgrades to your existing one, as well. They are a full-service shop that also arranges rides and advocates for cyclists throughout the state. You can even purchase an electric bike here or the riding gear you need to race in style. A lot of bike shops are designed for adults, but this one is family-friendly with plenty of bikes for the young ones in the family. They offer youth classes on safety, can help your child to find the right size bike and outfit everyone for their next ride. They even host family-friendly rides that everyone can join in on. They can repair your bikes as well. Visit this shop if you want to find the gear you need for a long bike trip or your next race. They have everything you need to haul cargo, stay hydrated and comfortable on long rides, or just have fun cruising around town. In addition to a large variety of new top-of-the-line bikes, you can also purchase high quality ones on sale. They feature current sales on the website so you can browse before you buy. Of course, they also offer repair services. A popular destination for University of Maryland students and those looking for a deal, you can view their online list to see more than 4,000 new and used bicycles for sale. The cool thing about this shop is that they let you take a test ride. You can view their list of bikes, email or call them, and they will have the bike ready for you to try out. This makes it far easier to select your next bike. While this is more than a bike store, bicycles are one of their specialties and they have a wide variety of them to choose from. You can find bikes on sale along with the latest models and accessories, have your bike fitted, or bring it in for repairs. They have been in business for 80 years and started the shop because the family loved biking around Baltimore. They are a local staple and excellent place to shop. They are a big promoter of biking to work and given their location near the University of Maryland and D.C., it makes sense. For four years in a row, they have received an award for being one of “America’s Best Bike Shops,” probably because they have a satisfaction guarantee. Plus, if you want to begin cycling but haven’t saved up for the bike you want, they have payment plans for every budget. With money no longer an issue, you can purchase a new bike and benefit from the latest technology. They even sell hybrid bikes, kid’s bikes, and beach cruisers. This is more than a bike shop. It’s a way of life and people come here to be part of the cycling culture. They even offer seminars like an upcoming bike packing one that teaches people how to load up their bike and hit the road for a long adventure. They can also teach you how to fix a flat and maintain your bike, in addition to offering these services at the shop. If you want to learn something really unique—try yoga for cyclists, another class they offer. Otherwise, you can visit this popular destination to purchase your next new or used bike and hit the road.